(Woodstock, GA) – A Brother’s Revival, an exciting new Allman Brothers Band tribute featuring two former ABB members, make their performing debut at MadLife Stage & Studios, 8722 Main St., Friday, April 5. Showtime: 10:00pm. Tickets: $22.50 and $32.50. Info: (678) 384-2363 or visit https://madlifestageandstudios.ticketfly.com/event/1837785-brothers-revival-tribute-woodstock/. 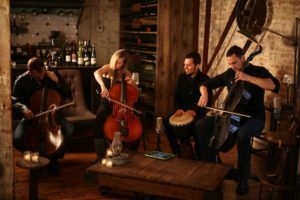 Formed in 2003 at the prestigious Eastman School of Music in Rochester, NY, Break of Reality has gone on to reach millions of listeners via platforms like Spotify and Pandora Radio, and their rendition of the Game of Thrones theme has over 16 million views on YouTube. The band has released four full-length albums, including The Sound Between (2006), Spectrum of the Sky (2009), Covers (2012), and Ten (2014). Their music has been featured on a variety of radio, television and internet outlets, including NPR, PBS, Dateline NBC, Yahoo Music, and Huffington Post. In addition to performing and recording, Break of Reality is dedicated to educational initiatives through music. The group has visited hundreds of public schools around the world, performing alongside music students and encouraging them to think outside of the box with their classical instruments. The band has also developed a DIY Lecture Series, designed to empower budding classical musicians with practical, real-world music business knowledge. Categories: Concert Concerts live music music Woodstock Worth the Drive Tags: concert concerts downtown woodstock elm street Elm Street Cultural Arts Village Girl's Night Out Ladies Night Out night out Outdoor outdoor concerts outdoor fun spring what concerts are in town? Woodstock Woodstock Family Fun Woodstock GA Woodstock What to do do this weekend? 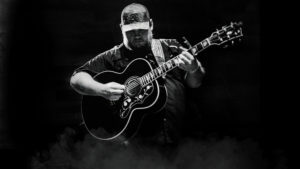 Luke Combs, one of country’s fastest-rising stars, is bringing his new “Beer Never Broke My Heart” Tour to Alpharetta, GA. He will be in concert at Ameris Bank Amphitheatre on Friday, Jul 12, 2019.